Latin Band Capitan Pop is based in Miami, Florida and has been a member with GigMasters since 2013. Events typically cost anywhere from $400 to $800 and vary based on the specifics of your event. Capitan Pop services Miami-Dade County and will travel up to 10 miles from Miami, FL. 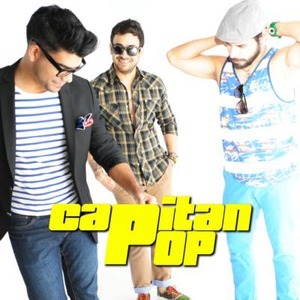 Hire Capitan Pop through GigMasters today! Please note Capitan Pop will also travel to Miami Springs, Hialeah, Coral Gables, Opa Locka, Miami Gardens, Miami Beach, Hollywood, Key Biscayne, Miramar, Pembroke Pines, Hallandale, Fort Lauderdale, Princeton, Homestead, Dania, Leisure City, Florida City, North Lauderdale, Pompano Beach, Coral Springs, Coconut Creek, Lighthouse Point, Parkland, Deerfield Beach, Boca Raton, Key Largo, Delray Beach.